« How Do You Bounce Back From Tough Situations? Be More Tigger! Resilience is the ability to bounce back from tough situations and to avoid becoming a victim of helplessness. Being resilient can help you manage stress, lower your chances of depression, and has even been proven to make people live longer. You may feel like you’ve had so much bad luck that it’s impossible to come out strong on the other end, but that stops here. Once you learn to seize your life by the reins and prepare for the unexpected, you’ll be on your way to being a more resilient person — and to living a happier, more purpose-filled life. 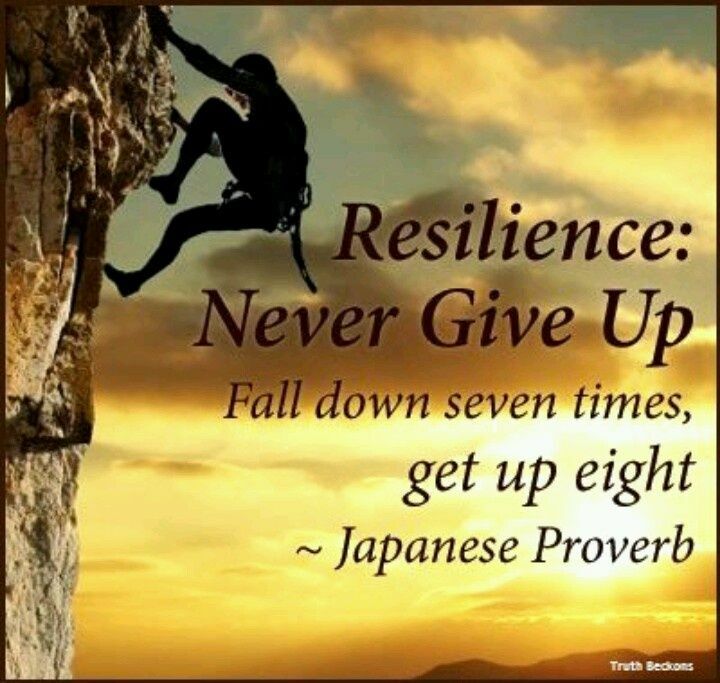 Increasing your resilience can be attained by coping healthfully with difficult emotions and situations, engaging in resilient actions, thinking resiliently, and maintaining your resilience in the long-term. 1. In a crisis or chaotic situation, I calm myself and focus on taking useful actions. 2. I’m usually optimistic. I see difficulties as temporary and expect to overcome them. 3. I can tolerate high levels of ambiguity and uncertainty about situations. 4. I adapt quickly to new developments. I’m good at bouncing back from difficulties. 5. I’m playful. I find the humor in rough situations and can laugh at myself. 6. I’m able to recover emotionally from losses and setbacks. I have friends I can talk with. I can express my feelings to others and ask for help. Feelings of anger, loss and discouragement don’t last long. 7. I feel self-confident, appreciate myself, and have a healthy concept of who I am. 9. I learn valuable lessons from my experiences and from the experiences of others. 10. I’m good at solving problems. I can use analytical logic, be creative, or use practical common sense. 11. I’m good at making things work well. I’m often asked to lead groups and projects. 12. I’m very flexible. I feel comfortable with my paradoxical complexity. I’m optimistic and pessimistic, trusting and cautious, unselfish and selfish, and so forth. 13. I’m always myself, but I’ve noticed that I’m different in different situations. 14. I prefer to work without a written job description. I’m more effective when I’m free to do what I think is best in each situation. 15. I “read” people well and trust my intuition. 16. I’m a good listener. I have good empathy skills. 17. I’m non-judgmental about others and adapt to people’s different personality styles. 18. I’m very durable. I hold up well during tough times. I have an independent spirit underneath my cooperative way of working with others. 19. I’ve been made stronger and better by difficult experiences. 20. I’ve converted misfortune into good luck and found benefits in bad experiences. Low scores: A self-rating under 50 indicates that life is probably a struggle for you and you know it. You may not handle pressure well. You don’t learn anything useful from bad experiences. You feel hurt when people criticize you. You may sometimes feel helpless and without hope. If these statements fit you, ask yourself, “Would I like to learn how to handle my difficulties better?” If your answer is “yes.” Then a good way to start is to meet with others who are working to develop their resiliency skills. Let them coach, encourage, and guide you. Another way, if you work for a large employer, is to get resiliency coaching from a counselor with the Employee Assistance Program. 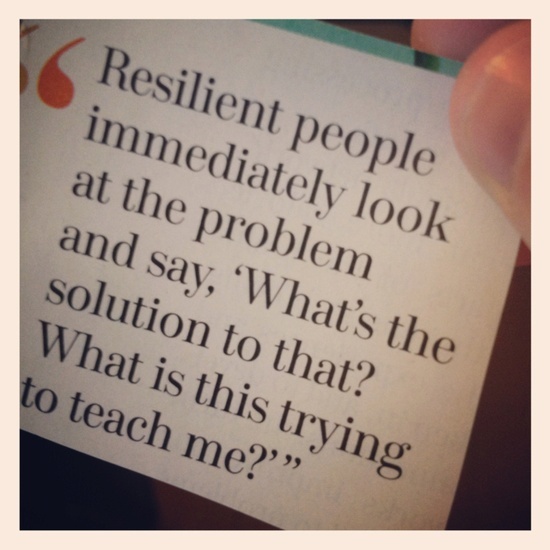 The fact that you feel motivated to become more resilient is a positive sigh. Lower middle scores: If you scored in the 50-69 range, you appear to be fairly adequate, but you may be underrating yourself. A much larger percentage of people underrate themselves than overrated themselves on the quiz. Some people have a habit of being modest and automatically give themselves a 3 on every item for a total score of 60. If your score is in the 50-69 range, you need to find out how valid your self-rating is. See the suggestion below. High scores: If you rated yourself high on most of the statements, you have a score over 90. This means you know you’re already very good at bouncing back from life’s setbacks and hold up well under non-stop pressure. For you, the quiz validates many things you are doing right. And, because you like learning new ways to be even better, it will show you how to take your already good skills to a very high level – something like reaching an advanced degree black belt level in the martial arts. Upper middle scores: If you agreed with many of the statements and scored in the 70-89 range that is very good. It means you can gain a lot from reading and learning about resiliency and will become even more self-confident and resilient than before. You are a self-motivated learner and can become better and better at bouncing back from adversities. A question for you to consider is how much you feel willing to tell your resiliency stories to others and make yourself available to people who are trying to learn how to cope better with their adversities. People gain inspiration from real-life role models. You could be one. Note: A validity check for your scoring is to ask two people who know you well to rate you on the items and see what scores they come up with. Have a discussion with them about each of the items where there is a discrepancy and listen to what they say. Print article This entry was posted by Denise on September 28, 2016 at 10:09 am, and is filed under Personal Development. Follow any responses to this post through RSS 2.0. Both comments and pings are currently closed.